Columnist for San Diego LGBT Weekly, san-diego based news publication. Admitted to State Bar of California (2007). Admitted to Court of Appeals for California U.S. District Court for the Southern District of California (2007). Court certified to practice dependency law. Member of the San Diego County Bar Association. Proud member of GSDBA (Greater San Diego Business Association). 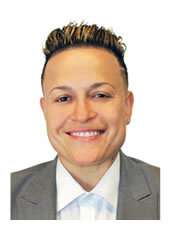 Member of Board of Directors for Urban Pride, a San Diego based non-profit organization. Rachel Young lives and works in San Diego, California. She spent much of her childhood in Eugene, Oregon. She earned a Division I Basketball scholarship for college, and competed at the University of Minnesota-Twin Cities and East Carolina University, respectively. She graduated from East Carolina University in 2002, and studied law at California Western School of Law until graduating in December 2006. Attorney Young was admitted to the California Bar June 1, 2007. Attorney Young immediately entered private practice. Notably, Attorney Young also served as court appointed counsel to minors and indigent persons coming to attention of the State of California and Child Protective Services. Since opening the firm’s doors in 2007, Attorney Young has chaired hundreds of trials in a variety of legal areas, and has significant negotiation experience. Attorney Young is a die hard University of Oregon Duck Football fan. She enjoys traveling, San Diego’s beaches, gardening and music. She regularly publishes articles in San Diego-based community magazines and news publications providing insight into legal matters and developments impacting the community. She also mentors youth, and participates in mentoring through coaching basketball at the high school level. If you have questions about the information presented above or to schedule a consultation at Attorney Young’s centrally located office in Hillcrest/Bankers Hill, you can contact Attorney Young at (619) 584-0505 or ryoung@rpylaw.com.